Juventus star Cristiano Ronaldo reportedly moved to stop Juan Cuadrado from leaving the club for a transfer to his old side Real Madrid this summer. The Spanish giants held an interest in the Colombian wide-man, who could be seen as an ideal upgrade on someone like Lucas Vazquez in Julen Lopetegui’s squad. This is the claim made by Don Balon, who go on to say that Ronaldo personally intervened to stop Cuadrado leaving as he feels he could be a useful player to have in this Juve squad. 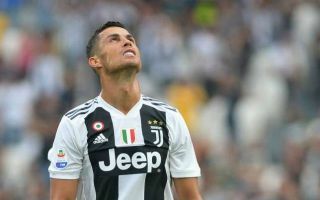 The Italian giants seem likely to use Ronaldo in a centre-forward position due to his exceptional scoring record, despite having spent the bulk of his career in a more free role in attacking midfield or out wide. However, in his advancing years, it makes sense for the Portugal international to use his superb scoring touch, aerial ability and physical strength in a more central position. As a striker, however, he would rely on quality service from natural wide-players like Cuadrado, who seems ideal to complement his skills. Juventus’ gain is Madrid’s loss once again, it would seem.